Aside from Joe Ely's hugely influential hold on Joe Strummer of The Clash and his own fascinating road to notoriety, the man's music remains largely unacknowledged outside of his loyal fanbase. Such savage neglect can only be met with bewilderment considering his impact on punk and country music and his rebel spirit that keeps both genres alive and interesting. 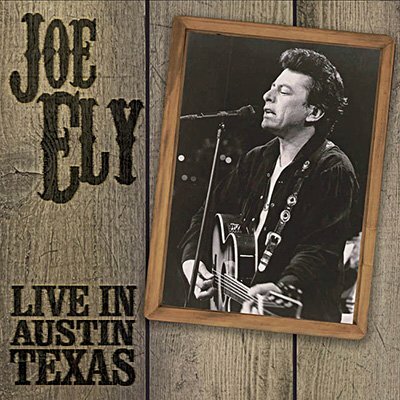 KGSR-FM's broadcast of Ely's intimate solo appearance for the Austin Chamber Of Commerce Star Award on 3rd December 1993, survives as testament to his gruelling schedule and a commitment to rock and roll as not only a music form, but a way of life. Ely's fiery spiritual is in abundance in his performance here and signifies his own anecdote: Muscle is muscle. Put that with riffs and wisdom and you've got something.